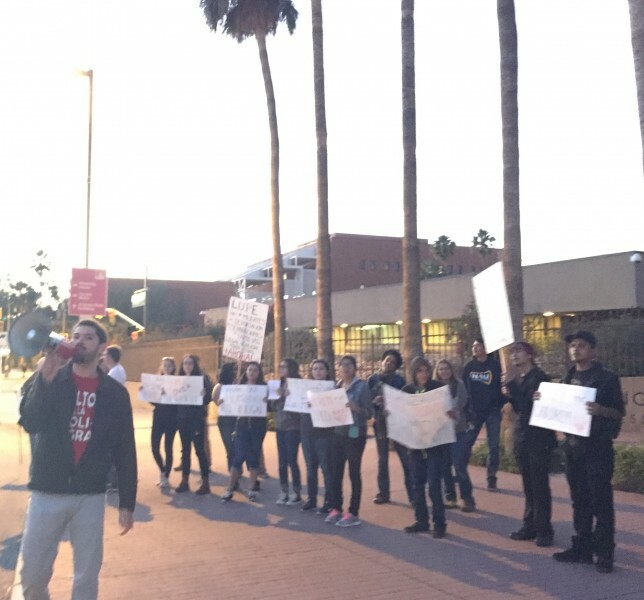 Tucson protest demands ‘Free the children’ | Fight Back! 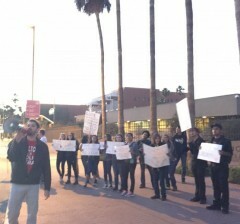 Tucson, AZ – To the thunderous chants of “Obama, Obama free the kids now!” and “No mas detenciones no mas deportaciones, legalización para los 11 millones!” a group of over 30 students, activists, parents and community members gathered outside of the Federal building, Nov. 5 in downtown Tucson. They were protesting the indefinite detention of the thousands of children and mothers who are currently incarcerated in the for-profit prisons located in Dilley and Karnes, Texas. The protest was organized across the street from the federal courthouse where Operation Streamline, a federal program initiated by the Department of Homeland Security to systematically criminalize and prosecute, without due process, hundreds of detained undocumented immigrants with federal criminal charges before sending them off to private prisons. This horrendous program is responsible in making immigration cases the most prosecuted federal crime. Among signs reading “Legalization for all,” “Liberen a los niñ@s,” and “End family separations,” speakers of the event took turns addressing the human rights violations and inhumane detention of thousands of children. The event was organized by the LUPE organization (LUPE is the Spanish acronym for United Struggle of Parents and Students) a community action group that advocates for immigrant rights. The protest was part of the national week of action initiated by the Legalization for All Network.